Lush Fab Glam Inspired Lifestyle For The Modern Woman: Happy Women's Day! March 8th is recognized around the world as the day to celebrate women, our accomplishments, achievements, women who inspire us and also as a day to celebrate how far we have come in achieving equal rights for women while raising awareness for the many issues that still hinder the lives of women and girls. Take time today to wish all the women in your life Happy Women's Day and click here to read the stories of fabulous, strong and intelligent women from all walks of life that inspire us and to learn more about the continued struggle for women's rights around the world. 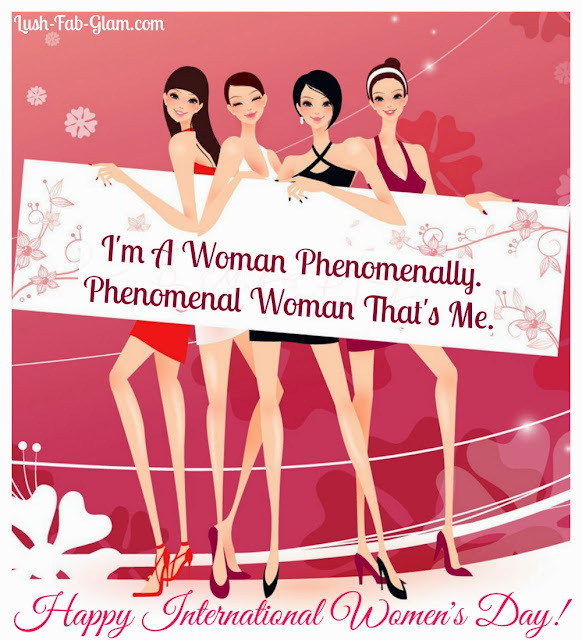 What does Women's Day mean to you? Share with us by leaving a comment below.